Ross joined Aberlour’s Board of Directors in January 2018 and sits on both the Finance and Investment Committees. 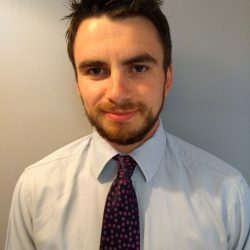 Since completing his degree in Finance in 2008, Ross has worked in the asset management sector, for the most part as a fund manager managing investments, firstly in European and now in Global equities. He is the Global Equity Fund Manager for Aviva Investors. In his spare time Ross enjoys spending time with his young family, going to the gym, and watching any football games on in the local area.